The Miami Heat became the latest playoff team to cut loose a key contributor in order to avoid steep luxury tax penalties Tuesday. The team waived backup guard Mike Miller using the NBA's amnesty provision. Last week, Heat president Pat Riley said in a conference call with reporters that he did not expect to use the amnesty provision during the annual one-week offseason window that closes on July 17. But after meeting with team owner Micky Arison, Riley reversed course. Miller's contract called for him to earn $12.8 million over the next two seasons, which he will still be paid. His salary will not count against Miami's salary cap figure, nor will it factor into the team's luxury tax bill. "I understand the business side of basketball," Miller told The Associated Press. "It's a combination of being very, very thankful for the opportunity that I've had, but it hurts that we had a chance to do something very, very special and I'd love to have been a part of it." Riley told the AP that Miami tried to trade Miller rather than use the amnesty provision, but could not find any takers. "Mike had an incredible impact on the Miami Heat; helping us to three finals appearances and winning back-to-back World Championships," Riley wrote in a statement released by the team. "This was a very difficult decision for me personally, the Arison family, Erik [Spoelstra] and the entire Miami Heat organization. Mike was one of the best we have ever had here, and will be sorely missed. We wish Mike, his wife Jennifer and their family nothing but the best." 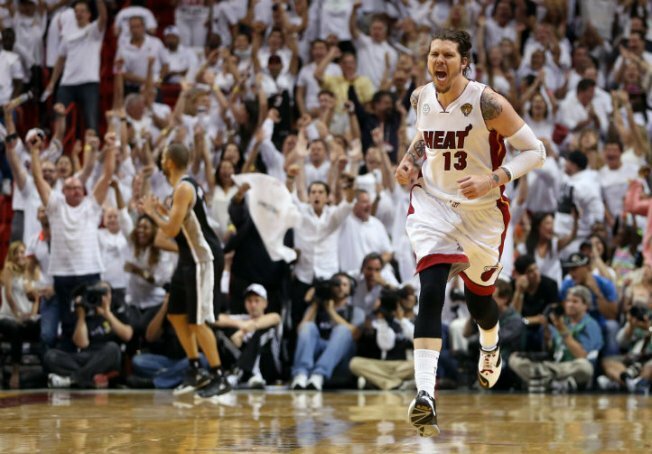 Heat owner Micky Arison tweeted after the move was announced, "Thank you Mike Miller for three amazing years. You'll always be part of the Miami Heat family." "We want to win and we want to win again next year and we're going to try to do everything we can to do that," Riley said last week. "I want to try to keep this team intact as long as we can because we have a championship basketball team here and continuity being, I think the most important thing to when it comes to winning championships ... I would hate to break it up." Under the NBA's collective bargaining agreement, signed after the 2011 offseason lockout, teams have a one-time opportunity to release a player and not have his salary count against the salary cap or luxury tax, even though they would continue paying his salary. The luxury tax has come under increased scrutiny this offseason. Under the CBA, luxury tax penalties are growing. Last season, teams paid $1 for every dollar of payroll above the threshold. Now, teams will have to pay at least $1.50 for every dollar over the threshold (for the first $5 million) and more as payroll increases. ESPN estimated that with before waiving Miller, the Heat would have paid $33 million in luxury tax penalties next season, more than the sum total of luxury taxes paid in franchise history. 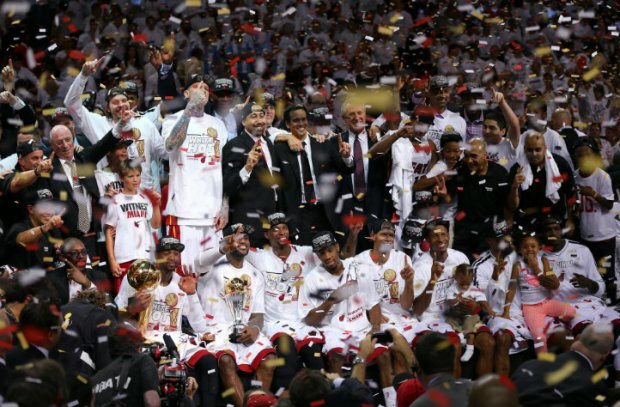 Last season the Heat's luxury tax bill came in at $13.3 million. "I love Mike. We all love Mike," Heat guard Dwyane Wade told AP as the news of the team's decision broke. "It's tough to lose one of our brothers. But I think we all understand it's not personal. It's a business decision." In three seasons with the Heat, Miller averaged 5.4 points per game and shot 41% from three-point range. Among his highlights with the team were a three-pointer he made early in Game 6 of the 2013 NBA finals against San Antonio, which he made with only one shoe on his foot. Miller also hit seven three-pointers off the bench in the decisive Game 5 of the 2012 NBA Finals against Oklahoma City. "I've had a pretty good career and I've been a part of a lot of special things," said Miller, who was awarded Rookie of the Year in 2000-01 and Sixth Man of the Year in 2005-06. "I've won some individual awards and now two rings, so I'm going to have some pretty good memories."